The first ingredient to be unraveled is the Famous and mysterious Forbidden Rice. A mysterious name for an exotic rice to be precise..This black colored rice is of Chinese origin and comes from heirloom plants.The reason for it being termed ‘forbidden’ is that it was once consumed by the emperors as it was believed to ensure longevity,and hence the common man was forbidden from eating it.It got the ‘forbidden’ thing attached to it also coz it was used by the ancient kings as they were prized for their nutrition and favored as a blood toner. Another legend says, the Greeks banned it due to the belief that it was being used by their enemies to aid them in battle.Some say that it was very expensive for the common man to procure it and hence the name. 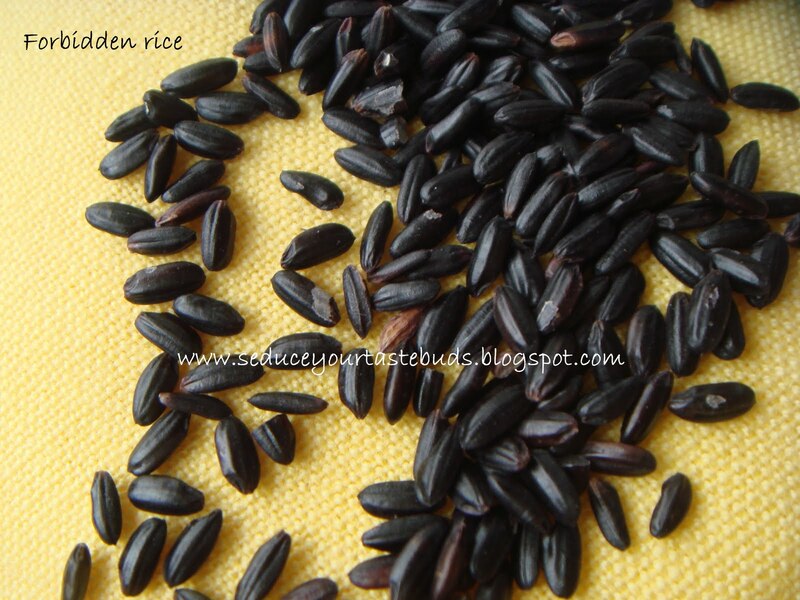 It is not as glutinous as the white rice.It has a nutty flavor and quite chewy.The black color of the rice is due to the outer coating of black bran. This gives it the rich nutty flavor when cooked. Bran adds to the nutrition and also provides the essential dietary fiber. It is rich in iron and other amino acids and phytonutrients. This rice is used in both sweet and savory dishes and is popular in China, Thailand and Indonesia. The rich color of forbidden rice makes a striking addition to any dish and turns the water it is cooked in a dark purple. The dark purple color is due to the presence of anthocyanin. It is rich in Iron and other minerals. As with the other rice varieties,it has plenty of amino acids. Rich in Vitamin E and anti oxidants and phytonutrients. 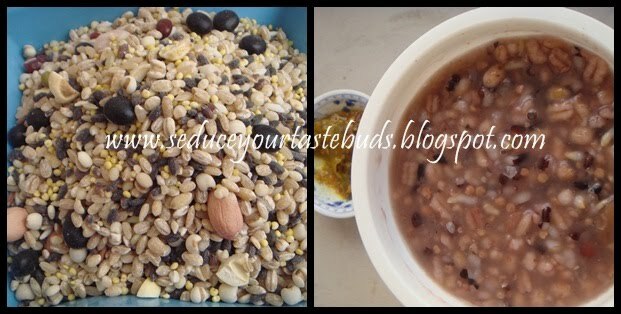 Here we use the forbidden rice in our porridge mixes.Porridge mixes are readily available in the market and there are several varieties.I usually choose the ones with black rice for the beautiful color it imparts to the porridge. A couple of years ago I made this Forbidden rice pudding for our wedding anniversary. Forbidden rice, i have seen them in Chinese store, thanks for sharing many interesting infos and dishes..
Never heard of this. Good way to use it in a pudding !! whoa !!! I am grasping all that. I love you for putting this all together. Thanks for introducing a new ingredient. I had no idea there was something as black rice and wow, so many myths and stories behind it. I would love to try it out some day. Let's see if we can find some nice recipes of it. How do Chinese use it? Any specific recipe?